Kinmar removable security bolts feature Sentinel's patented "Kinmar" style driver sockets. Kinmar drivers are only available from approved distributors giving you an extra level of security that is not found in commonly available security bolts. 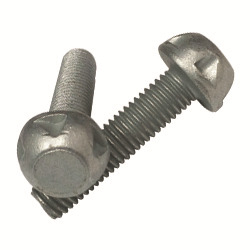 Kinmar removable security bolts feature a matching head to the popular kinmar removable security nuts, meaning only one driver is required for both types of security fasteners. Patented, high security bolt, with unique drive sockets only available through approved distributors. Other sizes and finishes can be made to order with minimum quantity usually only 1000pieces. Contact Us or call 1800 776 565 to find out more!